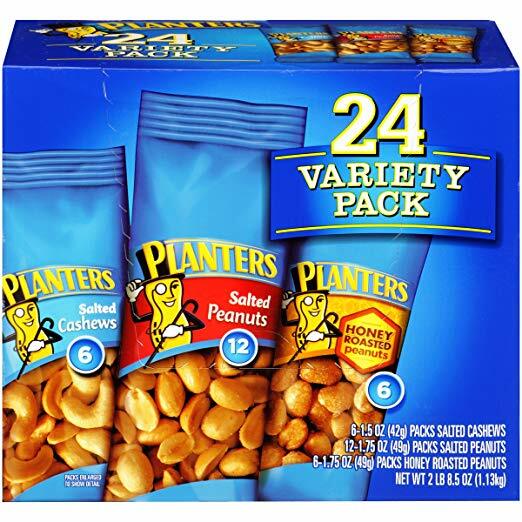 Right now over at Amazon you can score this Planters Nuts 24-Count Variety Pack 2lb 8.5oz box for just $7.13 shipped when you opt to Subscribe and Save. That's just 30¢ per pack! This variety pack includes salted peanuts, honey-roasted peanuts and salted cashews in convenient single-serving packs.